I originally thought to make just 1 post about buying items, but I quickly realized it wouldn’t be feasible, so I’m splitting it up into parts and doing a sum up in the end. It’s time to start buying stuff! I’ll go through the individual items and talk some about what to pay attention to and give a link to the items I bought, and a generic link with search results, but please note that the links might not work when you read this, so you might need to make your own generic search on Aliexpress instead. Many items can be bought in different versions, so pay attention to the details, like material of the frame and size of filament for the hotend etc. This is the most expensive piece on our build and it is of course very important. These things can be found in a various materials. We want to get Dibond, which is a sandwich material with aluminium for each side and hard plastic for the center, for all the parts except for the sides of the frame, which are made from acrylic plates. You can get them with Dibond for the sides, but that is up to you. The original is with acrylic sides, for light to shine through. Also heavier when using Dibond sides. It might be more rigid, but I don’t think so. Many sellers feature wooden and all acrylic cases. You do not want to buy these. They are not as rigid and they are much more noisy. Frame including all screws and nuts and the 8x F688-2RS flanged bearings used for the end of each 8mm rod. The Print Table Back cover for the heated bed should be included with the frame. I have not seen this sold seperately. If you don’t see it on the photos and in the description of the item, then ask for it to make sure. I talked about shipping options in Part 2 of this series, and it is very relevant here. I like to buy using DHL, UPS or similar shipping to make sure it all goes smoothly. It also says something about the seriousness of the seller to use a proper shipping company for these kinds of items. You might want to search for “Case” as well). If they are not included in your frame, you need to buy 8x F688-2RS bearings. Experient with free shipping and buying lots instead of individual bearings. Generic search – I had some on hand, so didn’t buy for this project. These are tricky as all the rods I’ve ever bought from China has been bad. I have not bought any from Aliexpress for a long time, so my advice is that if you do decide to buy rods from Aliexpress you MUST buy them from the same place you buy the above mentioned 8x flanged bearings. Why? Because the “bad” part of the rods is the tolerance that’s been way off, so bearings can’t go over the ends of the rods. Buying from the same place will place the blame on the seller. If you buy from seperate sellers they can always say it is the other products’ that’s to blame. These tolerance issues has been because the rods has been coated with some chromeplating (most likely not the right technical terms) put on rods that allready met the right diameters, resulting in rods that are effectively too thick and does not fit into the flanged bearings! You might have bought rods and used on Prusa printers or other printers where you used ball bearings and not put on snug bearings… yes, that would work fine, but not for our usage. Either buy rods and flanged bearings from same seller, or better yet, buy the rods from a known good supplier. I strongly recommend using Motedis.com if you live in Europe, or other similar quality supplier. From Sanjiu where we bought frame and possible Flanged bearings. Can be found for around $100 including shipping. Some shops still lists at $140 though, but talk to them about it, if you found a favorite shop or something. They are highly likely to lower the price to match competing shops. 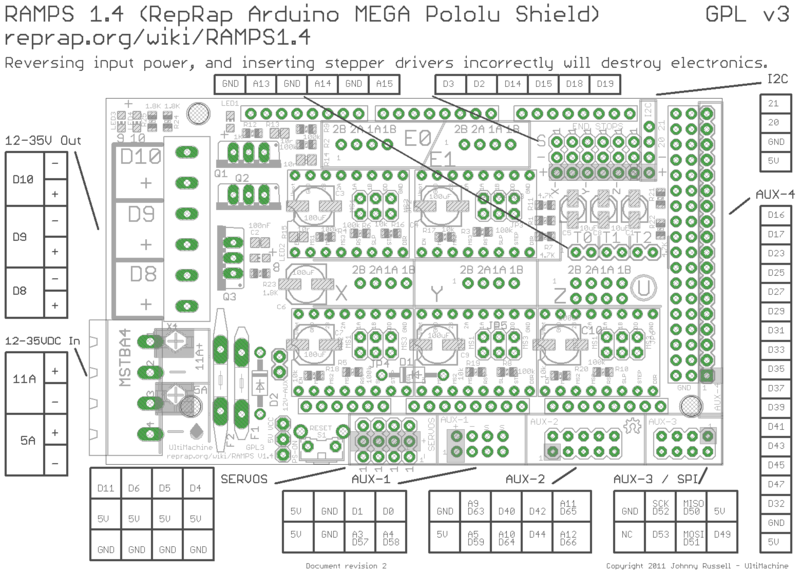 The controller is pretty much just an 8bit Arduino Mega r2560 and Ramps build into one and primed for 24v usage. This board does not use normal thermistors though, and has build in 3x pt100 sensor amplifiers, which are rather costly on their own at £15 a piece from E3D! All in all, it means that $100 is really not high price for this controller including lcd and sd reader + cables. A very nice thing about it is how it’s very neat and ordred, so not a lot of wires and stuff sticking out with risk of falling out and ruining your controller. Unless you buy everything at the same place, I’d like to wait a bit with buying this, as it is handy to have 2x PT100 sensors on hand to test it. These two sensors are found on the Heated bed and in the Hotend respectively, and you can’t really test it without these two as the controller is going to just give an error message. You need sensors, motors and an SD card in order to test this. Preferebly some LED’s and a multimeter device as well, to test various output voltages. You can use any 24v psu with at least 16amp, but I recommend buying an original one. I buy mine from an authorized Ultimaker reseller for about $75 including shipping, so it’s actually cheaper than buying on Aliexpress! I’ll strongly recommend you buy the parts as a single package as you’ll find it impossible to prove what went wrong if controller is from one and lcd from another, and something went and died when powered on. Package I bought – I have not recieved it yet. I’m not sure the correct name is Z-stage, but I’m using it to describe the entire moving printbed construction. Ultimaker seems to call it Heated Bed Build platform. You can buy it assembled/complete but these tends to be very expensive and the individual parts has dropped a lot lately, so either buy them individually or at least talk to the sellers to get the price lowered for the complete sets. This is the base plate of the z-stage assembly. Meaning the aluminium plate everything is screwed on to. We need 2x LMK12LUU bearings for the Z-axis. You want/need the square models or it wont fit on the Base Plate. Special attentions needs to be made when buying the Print Table Heated Plate, as it comes with and without asscessories. The black side with Ultimaker name is actually the underside. Most plates comes without the screw terminals for wires (lengths in link are for normal ultimaker2, so correct as needed.) and the ones with the terminals are often much more expensive. Most comes witout wires as well, which means you need to do some soldering. It is very important that the plate comes equipped with a PT100 sensor as it does not work with the Ulticontroller otherwise. Some comes with nomral Thermistors or without any sensors! The screw holes on the blank sides must be countersunk, or you have to do it yourself. I bought this heated plate – inc pt100 sensor and wires. This Print Table Glass plate is actually a pretty expensive piece as it is made from Borosilicate glass. It means you can take it directly from the printer, while it’s hot, and stuff it into your fridge or freezer to make the items pop loose. You can use plain glass, just don’t stuff it into your oven. There are Build Platform Glass Retainer clips mounted on the heated plate to hold the glass in place. These are designed for 4mm glass thickness. I’m personally using bulldog clips instead on sides and front, as the original clips are very hard on the fingers. I recommend you just print this Heated Bed Cable Clip. 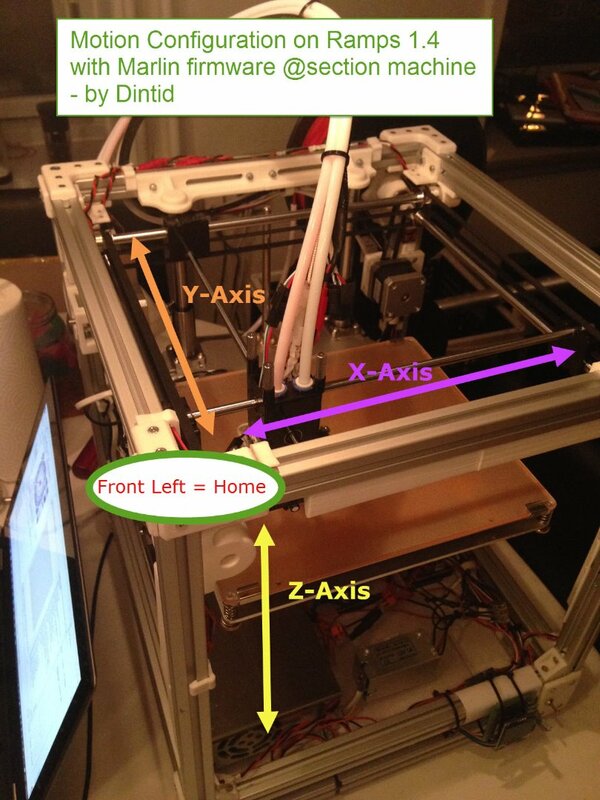 If you don’t own a printer to do it, just use a plastic ziptie untill you can print your own. You can find the model on my thingiverse collection for Ultimaker 2. 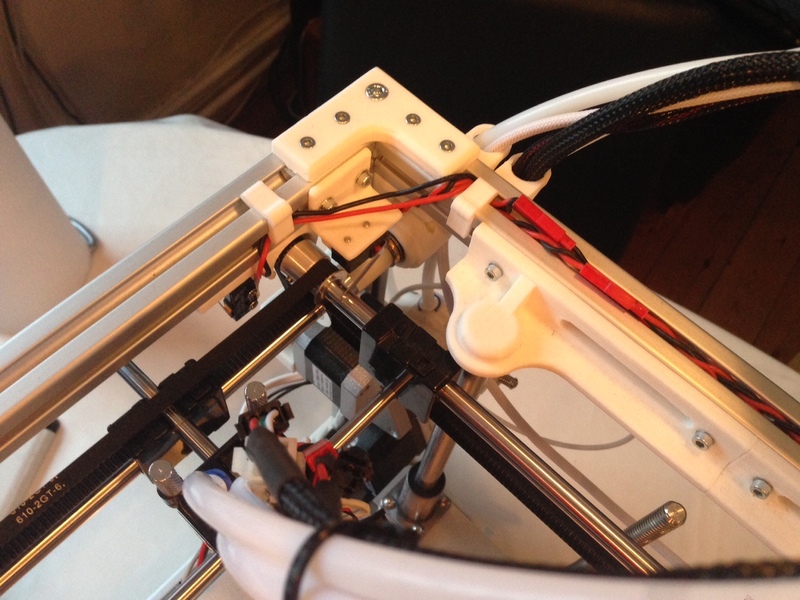 The Ultimaker machines use 3 Fingerscrews to adjust the Print Bed. The Fingerscrew Knurled Nuts are normally sold alone or along with the springs. I don’t think I’ve ever seen washers and screws included. Notice that some nuts are golden instead of metallic looking. The glass on the print platform is held in place with 4x Heated Bed Glass Retainer Clips. The rear ones are installed using 4x m3 x8mm screws and 4x m3 lock nuts. The 2 front clips are held in place using the Fingerscrews in one of the holes on the clips – resulting in the clips can be turned open to release the glass. I personally do not use the front clips, as they just kill my fingers, so I’m using the rear 2 clips and use bulldog clips on the sides and front, to keep the glass in place. I have not seen these be sold along with screws and nuts. This Part 2 is going to be about how to use Aliexpress, and what to keep an eye on. 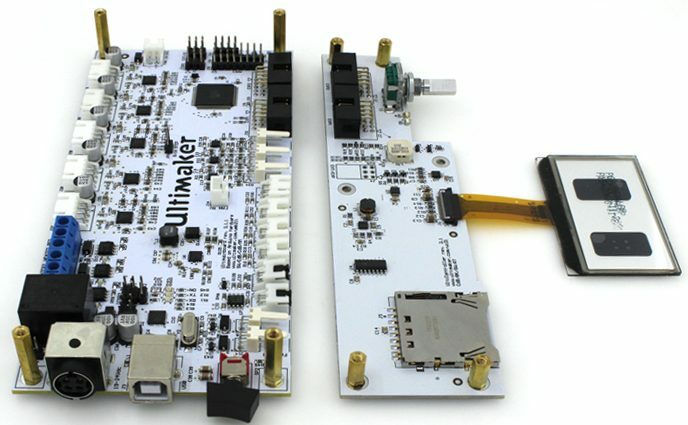 I forgot to talk about the existing Ultimaker 2 Assembly manual, which is located on the official Github repository. You might, rightly so, wonder why on earth I’m creating this blog-post series when a manual allready exists? Well, that is a good question, and the reason why I havn’t got around to writing sooner. Not because of the question, but because of the existence of this manual, but the thing is: Just because you get an assembly manual, doesn’t mean all the small things are taken into account, nor, and especially, are there any things related to how to actually obtain the various parts. This is the true heart of what I’m trying to do here: Descriping how and what parts you need to get, and what prices you can expect, along with advice on how to do this, or more particularily, what to avoid when shopping on Aliexpress along with some tricks on purchacing bundles. I’m almost exclusively buying parts on Aliexpress.com – if you are new to it, you need to create an account and associate a credit card or paypal account. I’ve never had any issues regarding money been withdrawn when I hadn’t bought something. I’ve also always get my money refunded when relevant. So, why make a section on picking suppliers, when it’s so easy? Not all suppliers are created equal, and nor are their products. When searching for items, you can sort by price, then do spend some time looking at the various items. You can also put a tick in free shipping, but that is not always favorable, so experiment some on this. 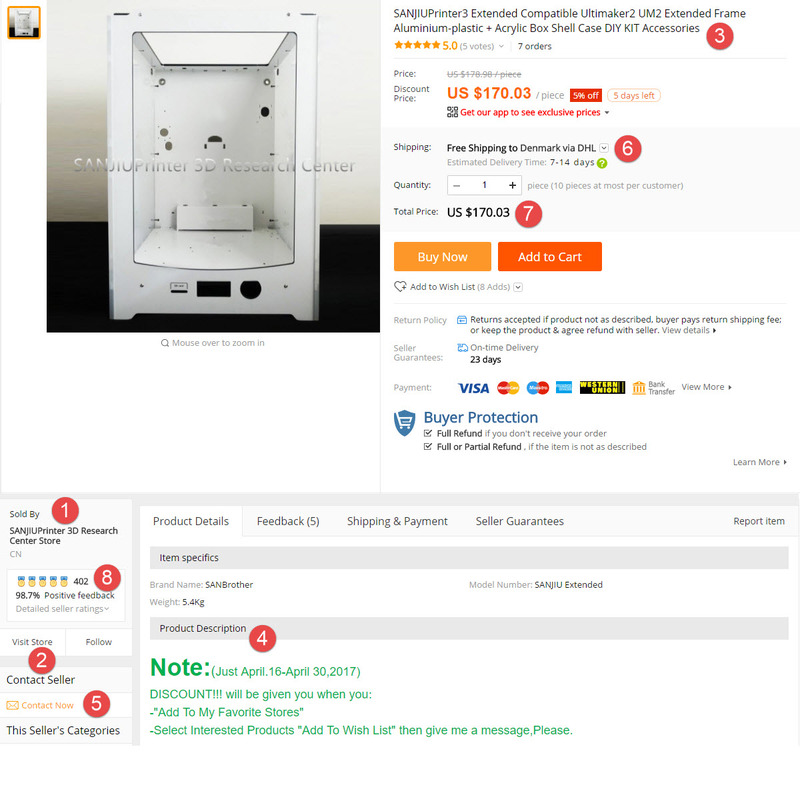 Do not just pick the first cheapest item that shows up in your search and buy it without doing a bit of investigation into the reseller. After a while you’ll get to recognize several resellers name listed under Sold by (Number 1), which is good, but untill then, you should use the Visit Store (Number 2) and browse through it. If they sell all kinds of (junk) non 3D and CNC parts like fishing equipment, parts for various craft hobbies etc, you most likely don’t want to buy your stuff from that one – why? Because they likely just got a big batch of the items you look at, at a very low price, and just pass them on without any Quality Control. You might get lucky of course, and I’ve bought some minor items from such. Product name and Decription (Number 3 and 4) are extremely important here. Yea sure! you might say, of course the name and description are important, but it is much more than as such. A good deal of suppliers use stock photos, so while it might show 2 pieces of something the name might say 1, or even worse, the name actually does say 2 pieces while the description states that you are only going to recieve 1 item. This means you always must go through name and description for such discrepancies and take proper care. If in any way in doubt you should either pick a new store or Contact Seller (Number 5) and ask to make sure. Also the seller might have special discounts listed in the Description. Our example seller here gives you discount if you add the item to a Wish list and add the shop to your Favorite Shop. Note: in order to take advantage of rebates, you still need to add to basket, then click Buy (do not use one-click buying option), but choose a different payment method from normal, but not another card. This way the order is going to be placed, but awaiting payment. The seller can now go in and modify the price before you pay. Simple, ehh? Not really, but it does work. Pay attention to the Shipping price and method (Number 6). This seller has free shipping using DHL on the frame, which is worth a lot. Also means it might just pay off to pick several other items from this shop, as you are guaranteed to get the items quickly, instead of waiting a month, and without most of the potential problems that might occur with missing packages slow toll/vat and such. The Total Price (Number 7) is the price of the item + shipping. It’s rather obvious, but I’m mentioning this, as the shipping price might be rather significant on smaller items, so stacking on a large free shipping items often pays off. Feedback is everything on Aliexpress and the sellers are going very far to get a positive rating. It means you should contact them if you have any problems with the product, which often leads to some sort of partial refund. After recieving your product you firstly need to confirm you have recieved it. You should give feedback, as it also rates the other way. The sellers are rating you as well, so keep that in mind! If you have problems, contact the seller and if you can’t find a solution you can Open a Dispute and 3rd party from Aliexpress judges the case. Be resonable: you can’t get full refund for a functioning but slightly damaged product, like scratches etc. As mentioned earlier, you are going to learn to recognize certain resellers. Don’t be afraid to shop from many different sellers, but I’ll put up a short list of shops I dare recommend. Also for more expensive parts. When searcing for a product you know is manufactured by a certain manufacturer, like the MKS-Makerbase controllers I’ve written about on instructables, you really should never buy such things from 3rd party stores. It does require you keep your eyes open, as multiple shops, also some of the Known good suppliers above, are selling copies of these things, but they can never give the same service and it’s often bad quality or a completely diffferent product alltogether. Another thing you really must keep your eyes on, is when you are looking for the Ultimaker 2 frame. It should be created from Dibond plates (sandwich of aluminium on either side and hard plastic as core) and acrylic plates for the sides, but you are going to see a lot of wooden and even all acrylic frames. Don’t go there! Some are assembled, meaning screws and nuts are included, while others are not, so take that into consideration. Some shops include parts, you might see as 100% part of the object, but which is viewed as an extra by the resellers. Like the piece of Dibond for the Ultimaker 2 bed, hiding the bearings and lead screw nut. These things are worth money, and looks matters as well. 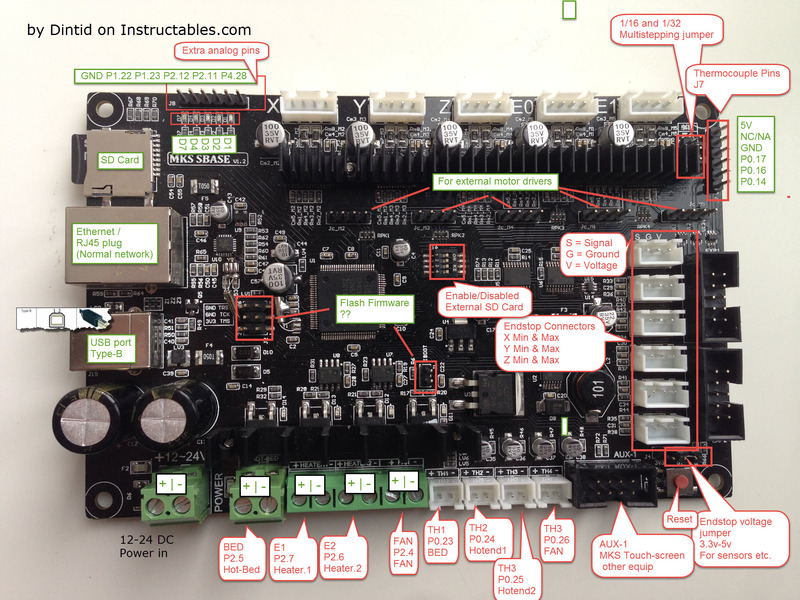 This Lets build an Ultimaker 2+ Extended clone is actually an old idea of mine as a follow up project to my venerable Complete Newbie Step by Step, 3D Printer With All Parts Lists printer project back in the days. I just made the mistake of mixing 2 projects together: Ultimaker build guide and Detaield explanation on 3D Printers, so it quickly got out of hand and sidetracked. What is this going to contain? This time I’ll focus solely on building the Ultimaker 2+ Extended, show all the parts used, the price I paid for them and provide some links. Just remember that prices change, often to the better though, but it will provide an idea on what it will cost to build your own Ultimaker 2+ Extended. This guide can be used to build the non-extended as well. Just get a normal frame, shorter Z rods and z-motor with shorter lead-screw. Please remember the license on these things! While Ultimakers are open source, and you are allowed to build for yourself, you are not allowed to build them with the goal of being a reseller. The Ultimaker robot and name are also trademarked, so be sure to mention yours is a clone if you decide to sell your machine in the future. I’m not in any way a legal advisor, so please contact Ultimaker if you have any questions regarding this. To be honest, they are not that usefull.. or, they are, but I think you’ll find the links with images I’m going to post later on, somewhat easier to use! All the STEP files in the Ultimaker2ExtendedPlus directory are 3D models of the individual printer parts… unfortunately it is all but impossible to find your way around there, so I’ll recommend using the normal Ultimaker 2 folder if you want to view individual parts, as they are named for the parts used. It’s usefull if you want to make sure of lengths of rods, size of glass plate, specifications on bearings, building your own 3D printed parts to match and so on. I’ve created a collection on my thingiverse profile where I add the various items 3D printable items for Ultimaker 2 machines. I’m not recommending using these over injection molded parts pr say, but it is a nice way to save money. Just be sure to use ABS for the parts you are going to put inside the frame. 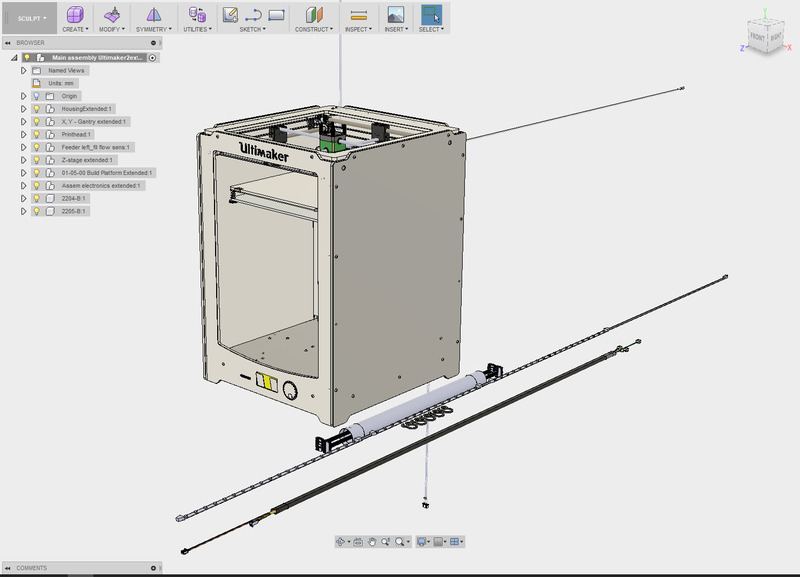 In the folder 3D model Ultimaker2extended+ you can find a model of the printer in STEP format, which you can Upload into Autodesk Fusion 360 (free – says trial which means you have to accept the licens once pr. year) or similar. Be aware that it does require a bit of an ok CPU and graphics card to handle the full model. In part 2 of this series, I’ll start posting images of the parts I’ve bought, prices and some links and advice.